NEW YORK (July 2): The major U.S. stock indexes rose modestly on Friday, for a fourth straight day of gains, helped by encouraging U.S. manufacturing data. The S&P 500 tallied its best week since November, staging a strong rebound from its worst two-day decline in 10 months sparked by Britain's shock vote last week to leave the European Union. The indexes have erased almost all their losses stemming from the "Brexit" vote. "Clearly, people have assessed that either, one, it's not a big deal, or, two, it's not going to happen at all, and they're positioning according to those views," said Walter Todd, chief investment officer at Greenwood Capital in Greenwood, South Carolina. 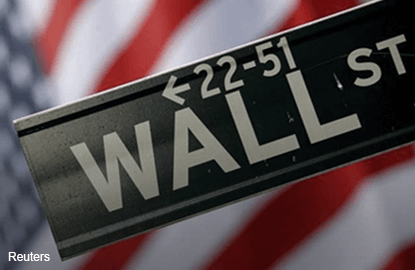 The Dow Jones industrial average rose 19.38 points, or 0.11 percent, to 17,949.37, the S&P 500 gained 4.09 points, or 0.19 percent, to 2,102.95 and the Nasdaq Composite added 19.90 points, or 0.41 percent, to 4,862.57. Seven of the 10 major S&P sectors ended higher, with the consumer discretionary group's 0.9-percent rise leading the gainers. Financials were the worst performing group, slipping 0.5 percent. "It's encouraging that the market has held on to the post-Brexit recovery that we've had," said Peter Jankovskis, co-chief investment officer at OakBrook Investments in Lisle, Illinois. With Wall Street's post-Brexit rebound, the S&P 500 is up nearly 3 percent for the year and ended the week less than 30 points from its record closing high. Still, some investors believe political and economic uncertainty stemming from Britain's vote could throw off markets in the weeks to come. Data on Friday showed U.S. factory activity expanded at a healthy pace in June as new orders, output and exports rose, providing another sign that U.S. manufacturing was regaining its footing after weakness early this year. "It's been a wild ride, but positive economic momentum in the United States has and continues to be a ray of sunshine," said Daniel Kern, chief investment strategist of TFC Financial Management in Boston. Government bond yields around the world hit their lowest levels in years, driven by the prospect of further cuts in interest rates and more central bank bond buying to support weak economies. Ford shares rose 1.2 percent and GM gained 2.1 percent. Robust demand for pickups and SUVs pushed up U.S. auto sales in June but the growth fell short of estimates. Harley-Davidson's shares jumped 19.8 percent after unsubstantiated market chatter that the motorcycle company might be a takeover target. The stock was the top percentage gainer on the S&P. Micron Technology fell 9.2 percent after the chipmaker posted disappointing sales and said it would cut jobs. About 6.7 billion shares changed hands in U.S. exchanges, below the roughly 7.7 billion average over the past 20 sessions, ahead of the July Fourth holiday in the United States. Advancing issues outnumbered declining ones on the NYSE by 1,918 to 1,088, for a 1.76-to-1 ratio on the upside; on the Nasdaq, 1,767 issues rose and 1,060 fell for a 1.67-to-1 ratio favoring advancers. The S&P 500 posted 89 new 52-week highs and no new lows; the Nasdaq recorded 98 new highs and 11 new lows.